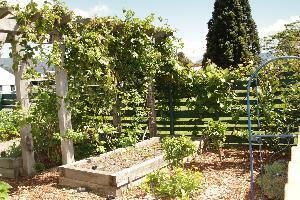 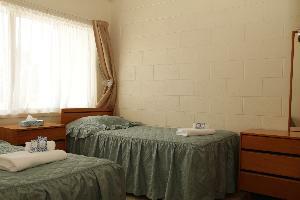 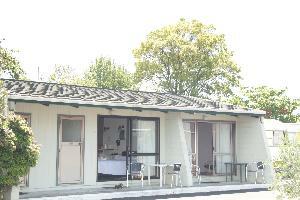 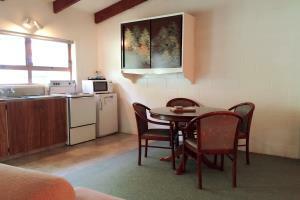 This unit has a queen size bed in the bedroom, 2 single beds in the lounge, self-contained kitchens & 2 way bathroom. 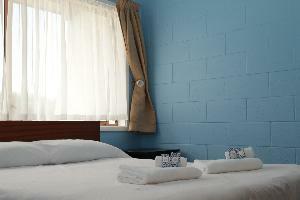 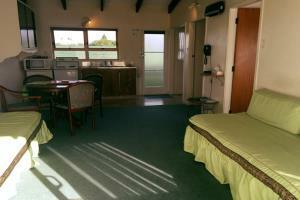 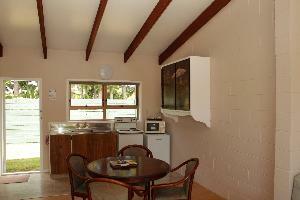 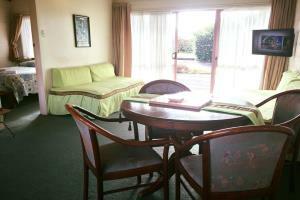 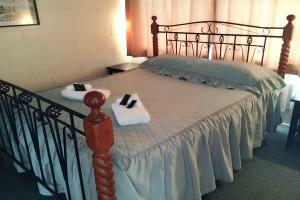 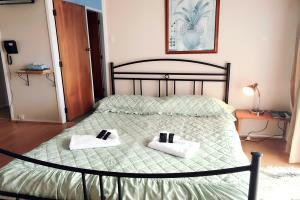 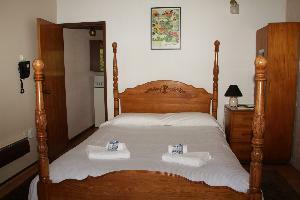 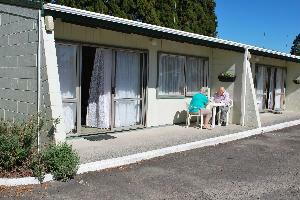 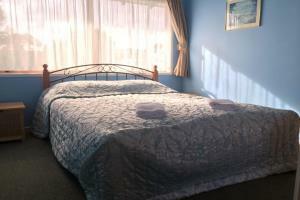 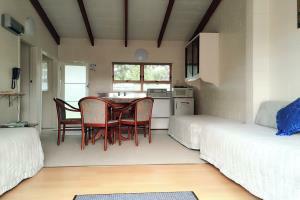 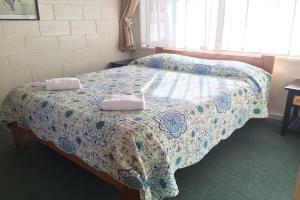 This unit is with 2 single beds in the bedroom, a queen size bed in the lounge, self-contained kitchen & 2 way bathroom. 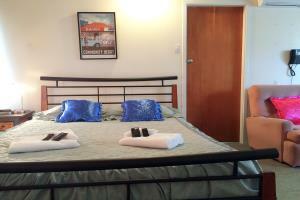 Great for families that wish to put the children to bed while the adults stay up to visit. 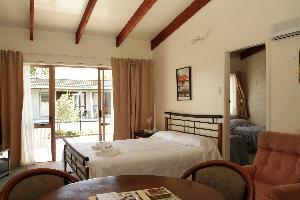 This unit has a queen size bed in the bedroom, 3 single beds in the lounge, self-contained kitchens & 2 way bathroom. 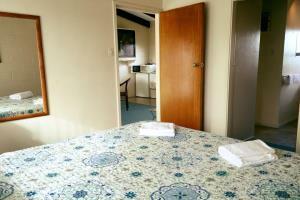 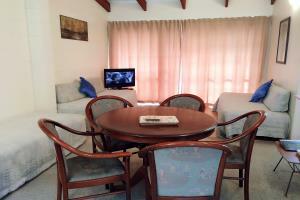 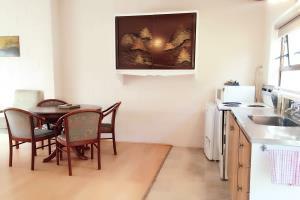 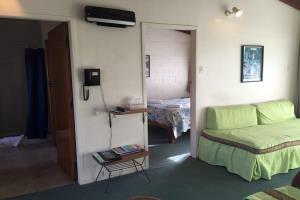 Unit 8 is a studio unit with a small kitchen dinning table, bathroom and with queen size bed in the lounge. 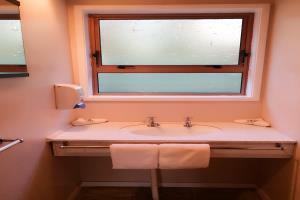 The kitchen window over looks our garden and on out to Digglemann Park.